We all have a need to access files conveniently. Whether it’s expanding the memory on a tablet or smartphone that doesn’t have a microSD card slot or quickly transferring files from your Android device to a PC, we all need to get stuff done. There’s ways to do it all wirelessly of course, but there’s nothing more re-assuring than doing something physically without worrying about potential soft failures along the way – this is where the Sandisk Ultra Dual USB Drive 3.0 comes in. What is a Sandisk Ultra Dual USB Drive 3.0? The Sandisk Ultra Dual USB Drive 3.0 is a dual-head microUSB/USB 3.0 drive which can connect to almost anything with a microUSB or USB port. It’s a flash drive and it’s using USB 3.0 on the USB side, so in theory you’re getting ultra-fast 130MB/s file transfers according to Sandisk. The drive works as a USB On-The-Go device, which means your phone or tablet has to support USB-OTG or you won’t be able to read, or even see the drive. Nexus devices for the most part won’t read it, at least without some mucking about, but throw it into a Samsung, HTC, LG etc. and you’re good to go. It’s available in Australian stores now ranging in price from $29.00 for the 16GB, $39 for the 32GB and $69 for a 64GB drive. The drive itself is a slick little unit, with a slider mechanism that slides the USB 3.0 port – the full size USB connector with the Blue plastic inner to indicate that it’s a USB 3.0 connector – back into the drive itself while sliding the microUSB connector out. The drive itself has a plastic body which is textured on the USB end, and smooth on the microUSB end. It’s got a metal loop around the middle of the drive, presumably to hang it from a lanyard or even a keyring if you desire, and it’s available in black. 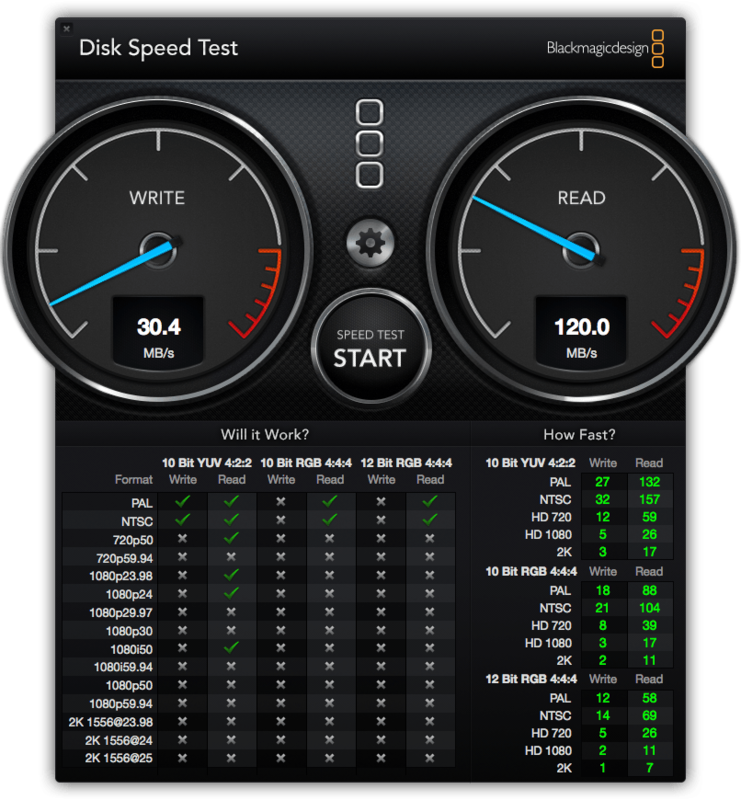 The drive, like all Sandisk products I’ve used previously is very well built. The slider mechanism on the drive has a very satisfying click when you flick from one connector to the other and has a mid-way point where neither connector is hanging out – something missing in other drives I’ve used. The only issue I have is actually with the idea that you could connect this to your keyring. The drive itself made of plastic seems durable, but spending a few months attached to my keyring and I’m positive that we’d see a winner in that battle which wouldn’t be the Sandisk drive – give me a premium metal option and I’d be pleased. The drive itself is rated as a USB 3.0 compatible. Sandisk have 130MB/s plastered all over the packaging and the website and it certainly feels fast when you’re writing and reading from the drive. I threw the drive up against disk testing software Black Magic to get a sense of how fast the transfer speeds actually were. What I found was that though you certainly get 130MB/s read speeds, you probably won’t write that fast – with write speeds around the 40-50MB/s mark. But, I’m actually ok with that as most of the time all I need is something I can read from relatively quickly. The drive is the ultimate in laziness for me – simply plug it in to any of my Android devices and I’m off and racing with more storage. It’s cumbersome, but for the times I need it, the storage is there and it fits conveniently into a pocket or back onto a keyring when I’m done. Having recently done four trips to Europe and back – 14 Hours to Dubai and then 7 to the UK and then back – you appreciate having some additional storage. Plugging one of these drives into a Nexus 7 or even into your laptop you can have hours of multimedia content on-hand to while away the hours – because some of the inflight entertainment can be a bit boring after a while. I also like the Sandisk Memory Zone Android app they’ve made to use with the drive. I had some issues with some of my Android devices not letting me navigate to the drive in my file manager app of choice, but the Memory Zone App simply lets you – that is if your phone or tablet supports USB-OTG and if it doesn’t then you’re out of luck. Well, there’s nothing I really strongly dislike about it, except I haven’t seen one in a store yet. There’s one niggly factor about the drive and it’s more a case of future proofing than anything. We’ve recently seen the release of the new Chromebook Pixel 2 as well as the new Macbook – both of which support the new USB-C type connector, which will eventually take over from USB 3.0. At this stage, there’s no USB-C drive but that’s a down the road thing for future me to worry about. At the moment, all my PC’s, Laptops (including the Chromebook) and phones, simply use USB 3.0/microUSB 2.0 – so I`m ok with that. Yes, you mean you haven’t? Well, it’s actually subjective, the drive itself when connected is fairly cumbersome, so if you have a microSD card slot it’s probably an easier solution to plug one of those in – that’s also the cheaper solution in a lot of cases. But, the convenience of transferring files between your device and your PC can’t be discounted. The SanDisk Ultra Dual USB Drive 3.0 is great at what it does and if you find yourself copying data from your phone or tablet to a PC quite often, it is the solution to a problem you have – if you don’t then it’s probably not for you. 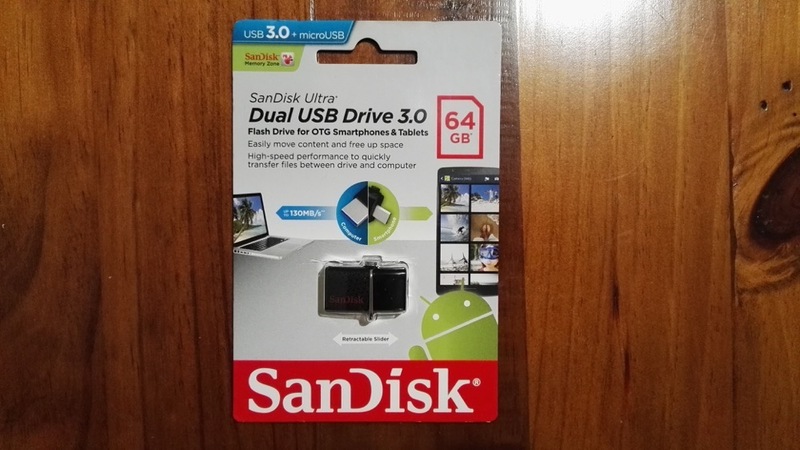 The SanDisk Ultra Dual USB Drive 3.0 is in stores, as well as in the Ausdroid Shop now. Would it work with LG Optimus L9 P765 (without rooting)? I don’t care if the speed is low, as long as the phone detects the drive and can read/write from it. Thanks very much for the review Dan, I definitely want to get one of these drives. It would make transferring files between my Android devices a breeze. For the convenience of that alone, the drive is well worth the outlay. Question: Can you show us the speed test results in Windows, Chromebook, and Android?